Specific calibration tools for telecentric measurement systems. Correction of residual lens distortion. Fast subpixel edge detection and labelling. Image processing for 360° lens images and 3D applications. The software package can be personalized based on your needs. Multiple functions can be ordered. The CVIP basic function is included in all packages. i.e. When ordering the CVTC module, the CVIP module is also included. The distortion of Telecentric Lenses is usually very low, but can still cause measurement errors. CVTOOLS implements algorithms for extremely accurate calibration of the system by minimizing residual distortion, thus making the most demanding applications possible. 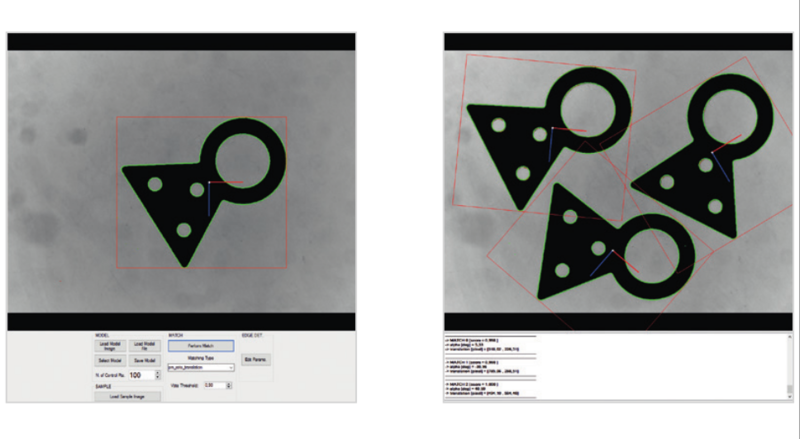 CVTOOLS provides the tools to calibrate a fixed-focal length lens based system, in order to compensate for aberrations and correct measurement and image data. A working plane can also be calibrated in order to get undistorted and warped images of it. Edge detection with sub-pixel precision, essential for high-accuracy measurement applications. Sub-pixel precision chessboard corner location and detection functions, for calibration purposes. Morphological operations in order to preprocess noisy images. Labeling of connected components, for image blob analysis. These functions have been optimized, so that their execution is remarkably fast. Robust fitting of geometrical models (lines, circles, ellipses). These functions provide the necessary tools for reliable measurement. The software library contains several pattern matching tools, such as edge-based pattern matching and grayscale pattern matching,designed for ease of use. A new library for 360° lens image processing is also available. It offers some basic functions to define the ROI and warp images for Polyview lens systems. The library is optimized with internally computed look-up tables. 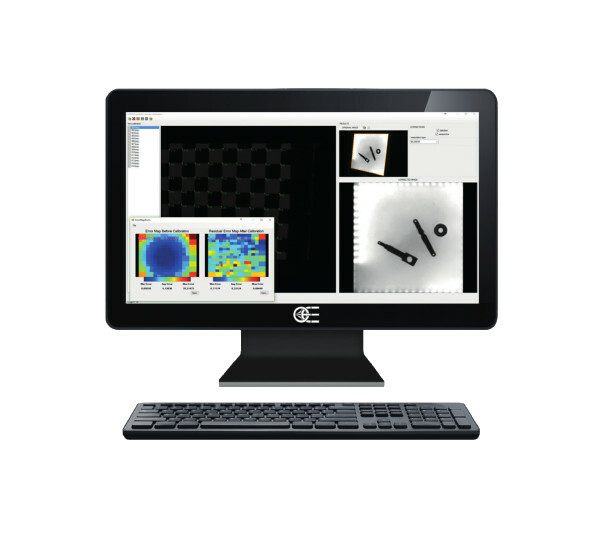 CVTOOLS includes software tools to calibrate and use a 3D profilometer system based on a light plane (such as a laser or a LED projector - i.e. the LTPRHP3W line pattern projector).